Is your neck sore from the rubbing of your binoculars at the end of a great day of bird watching? Are you tired of your binoculars swinging freely around your neck narrowly missing trees and rocks? Are you afraid of damaging your binoculars? If you have answered “yes” to these questions, then consider a binocular harness system. A good binocular harness system eliminates the annoyances that you have been dealing with when bird watching and hiking. The harness will hold the bird watching binoculars securely against your body eliminating any swinging or twisting. A good harness will protect your binoculars from any damage that may be caused from swinging into trees or other hard surfaces. And, no more missing those fast moving birds, because your binoculars are in a waiting position for you to grab and aim. 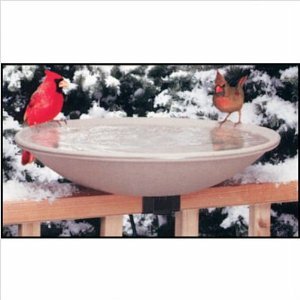 This enables you to see many more birds while hiking and bird watching. Another important benefit of the harness is that your binoculars will be held in place while you are using your camera to photograph birds. The binocular harness takes the weight of the binoculars off your neck. It distributes it evenly to your back and shoulders. Imagine hiking and birdwatching without the binoculars rubbing your neck all day. Your day will be a walk in the park. The harness can be easily adjusted and used for people of any weight and height. The level of tightness of your binocular harness can be modified to suit your movement. You will move more comfortably, more freely and more quickly, which will make your day more enjoyable. By using a harness such as the Leupold quick release binocular harness 55895 you can easily disconnect the binoculars. 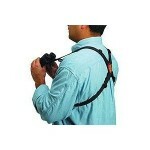 A binocular harness system will keep your binoculars safe and will keep you more comfortable. Choose the best binocular harness system available because your equipment is valuable and should be protected.